Copy & paste the direct link into an email or any other communication system. The chart below compares each sharing approach and the tradeoffs to consider. 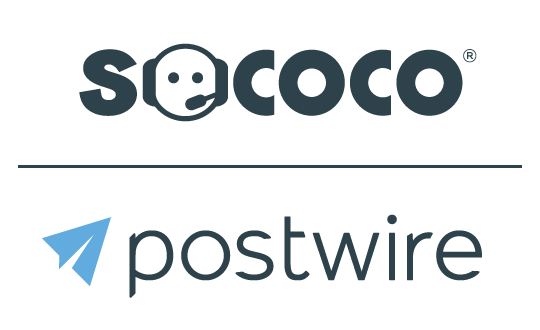 Email System Uses Postwire's integrated email system (Sendgrid) to deliver link to Postwire. Emails come from your name "via Postwire". Uses your Outlook or Gmail email to deliver direct link to Postwire. Emails come from you. Uses whatever email or other communication system you paste the link in to deliver it. Tracking You will know who clicked what by email address (or by first and last name, if your contact registers for Postwire) Viewers will always be anonymous "Someone", unless your contact at some point registers for Postwire. Viewers will always be anonymous "Someone", unless the recipient at some point registers for Postwire. For secure, invite-only Postwires or to make someone a Contributor The act of sharing this way sends each contact an email invitation and grants the appropriate access to the Postwire by including them on a visible invitee list. You will need to send the Share email invite at least once to grant the proper access to the Postwire by including the person on the invitee list. You will need to send the Share email invite at least once to grant the proper access to the Postwire by including the person on the invitee list. Deliverability The Postwire generated email invitation may get caught in some strict corporate firewalls or spam folders. If this happens, ask your contact to request their IT department to "whitelist" Postwire.com by stating the business purpose so that future emails sent by Postwire.com will be delivered. Your email message is unlikely to be caught by corporate firewall if sent from your domain if you have been doing business with this company or organization. Your email message is unlikely to be caught by corporate firewall if sent from your domain if you have been doing business with this company or organiztion. Email Format You can select Plain Text or Graphical (HTML) email invitation format Any format your email supports. You have full control how to share a direct link.